If you’re like me, or most people, you probably have to cut up one of your credit cards at least once a year thanks to fraud. It may have been a mass hack, or perhaps you stuck your card in a skimmer at a gas station and soon saw a transaction you didn’t recognize. This has always been somewhat of an issue, but in the past several years, it has gotten really out of control. These days, I feel like I have to cancel a credit card and get a new one issued multiple times per year. It’s super annoying and time-consuming, and it always makes you wonder if credit card security is just far too lax. After all, we can shop anonymously on the Internet, fill up our cars with gas without speaking to anyone, and even check out at grocery stores (or Home Depot) without assistance from a clerk. Even if you do use a clerk, there’s a good chance they won’t ask to see your credit card, or check the signature on the back to see if it matches what you signed. No one really seems to care, and perhaps that, along with widespread data breaches, explains why credit card fraud is so rampant. To alleviate this problem, we’ve seen technology that creates temporary credit card numbers or tokens that can be used one time and deleted. This means if your card number gets into the wrong hands, it won’t be of any use. The chip and pin technology was also supposed to reduce fraud, though many transactions still take place online, or at merchants who don’t have the chip and pin system up and running. 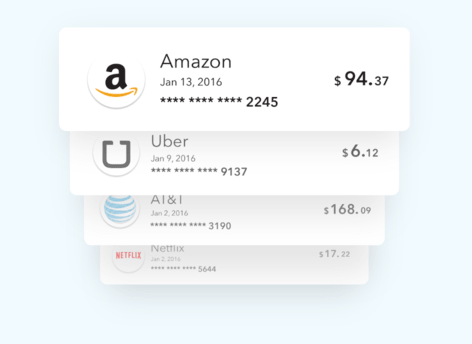 The newly released “Final Visa Card” goes beyond this and lets you create unique credit card numbers for each merchant you do business with. These “merchant-locked cards” mean you can have a unique credit card number just for Amazon, or just for Uber, or just for your recurring wireless bill with AT&T. They can’t be used anywhere else, and if someone tries, they’ll be blocked. At that point, you may need to create a new virtual card number, assuming it was compromised, but it’ll be a lot easier than getting a new physical card shipped out. You just delete it and move on. It’s also easy to keep tabs on things, with all of these virtual card numbers cataloged in your Final Card dashboard. Aside from alleviating fraud concerns, you can keep an eye on all your merchants, especially the ones that charge you on a recurring basis. You’re also able to receive real-time receipts on your smartphone to ensure you were charged the correct amount. The Final Visa Card is a physical chip card as well that can be used at brick-and-mortar locations, which while perhaps riskier than the throw-away card numbers you can create, can also be turned off remotely if lost or stolen (or left at the bar). 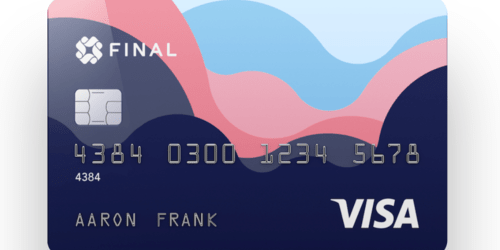 Aside from its main mission of preventing fraud (and the associated headaches), the Final Visa Card also earns 1% cash back on every purchase. While this isn’t as good as say a 2% cash back credit card, or a 2.5% cash back card, it’s better than nothing. There’s also no annual fee, so you get rewards without the costs. However, you might still be leaving money on the table since other credit cards can earn you a lot more, especially if there’s a big opening bonus. One other thing to note is that the APR, at least at the time this was written, was advertised at 18.50%, which seems on the higher end for a card that requires good to excellent credit. It’s an interesting concept, but I wish it was simply sold as a technology for ALL credit cards so you wouldn’t be locked into one specific card to earn your rewards. If you could use the Final tech across all your cards, you could still maximize rewards without foregoing safety. That would be truly spectacular. 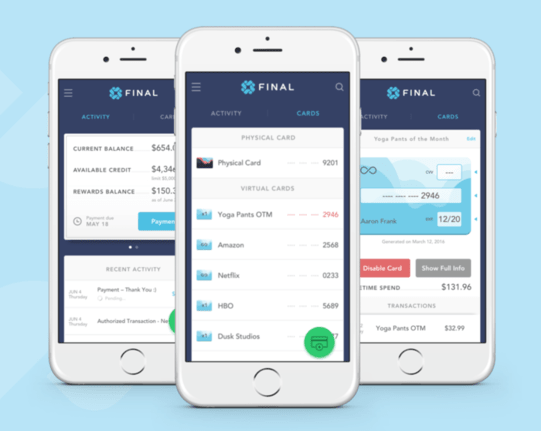 In the meantime, if you’re sick of constantly replacing your credit cards, take a look at Final. It might be the final credit card you need. For the record, the Final Visa Card is issued by First Bank & Trust and backed by Visa, so it can be used anywhere Visa is accepted. I don’t see how this is new. For years now Citi and B of A have allowed users to go online and create a VAN locked to one merchant. You’re right…it’s certainly built off existing ideas and tech, maybe Final offers more options to fine-tune such as spending limits with each merchant, a better user management system, ability to turn off physical card, etc.